Well it seems to be a race now between Feedly and NetVibes. The Feedly intetface is nicer and faster, NetVibes adds a lot of nice social networking features. As many of you know I am participating in the A to Z challenge again this year. I am also working as an Ambassador for the challenge. This means I'll be going over sites and encouraging them to post, comment and the like. I also joined D.L. Hammons' Blogging Blitz. This is an ongoing blog-fest to drive new visitors to your site. I plan to use it in conjunction with my own "The Best Blog You are Not Reading" feature (which I am way overdue on) to get the word out on some cool, but under read blogs. Here is the code to sign up! You'll make a good minion. I have a good team, too. 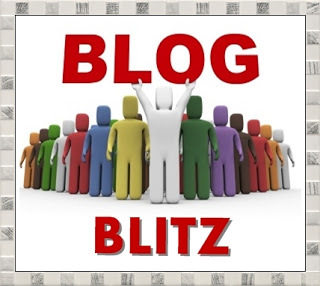 All signed up for DL's Blog Blitz. It's a wonderful idea. Join us for Star Wars March Madness! Yeah the Google Reader thing has me kinda irritated. I have not found one I really like yet. Keep us informed with your research about the replacement for reader. I'm keeping an eye on you. You'll do great with AZ Challenge.. and I'm thrilled you're signed on to the Blitz too! Thanks for the A to Z efforts you've been putting in for us. You've been a great help for me especially during a time when I've been needing it most. @DL, my pleasure! I'll have to post a "Best Blog" here soon. The Blitz does sound awesome and I am glad to be a part of it! @Arlee, again, my pleasure. Trying to put the wraps on some projects here so I can enjoy the A to Z!